WooCommerce is a free open-source plugin that gives WordPress its ecommerce functionality. If you’re already a WordPress user, it can feel like it’s too easy to adopt this related technology when it comes to building your ecommerce store. 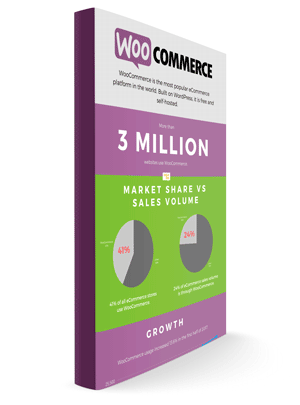 But you’ll be in good company—as 42% of the internet operating ecommerce stores uses WooCommerce! As with the core WordPress software, WooCommerce can be extended through the use of multiple feature-rich plugins and extensions. In this article, we’ll focus specifically on the best WooCommerce plugins for checkout. The checkout page is arguably the most important part of the whole online shopping experience. You might have the most beautiful product pages and perfect SEO-optimized product descriptions that make customers want to buy—but if your checkout page isn’t optimized to close the deal or is broken in some way, then customers may not complete their purchases. A scary ecommerce checkout page statistic: 21% of carts are abandoned due to a long shopping/checkout process. From creating a simple one-step checkout process to a feature allowing you to trigger abandoned cart emails, here are some of the best WooCommerce plugins to optimize your store’s checkout process. The Jilt plugin by SkyVerge connects to WooCommerce to make it simple to send automated lifecycle emails from your store. The point? To help recover abandoned carts, which account for 70% of all shopping carts. Specifically, Jilt has helped merchants recover over $25,000,000 in otherwise lost revenue. Jilt tracks abandoned shopping carts, collecting email addresses when possible, and then sends abandoned cart emails to those that haven’t completed checkout. Using Jilt, you can create and send as many email campaigns you want, and Jilt also allows you to send post-purchase follow-up emails to help entice customers to purchase additional product from your online store. Related products are defined as products with the same tag or category as the product currently viewed. Cross-sells are typically complementary items to those in the cart. Upsells are more expensive or better quality products that you recommend based on those that are in the cart. Though this is a built-in feature, you can also use plugins like the WooCommerce Checkout Add-ons and Upsells extension. Specifically, you can use this paid WooCommerce extension to promote cross-sells and upsells on the checkout page. One of the best things about having an ecommerce shop is the ability to expand your market to a larger audience than a local brick and mortar would have access to. When you run an ecommerce business, essentially anyone with internet connection can be a customer. The problem with having a global audience is that it can be confusing for your customers from other countries to understand the value of their cart in their own local currency. With this in mind, the WooCommerce Currency Switcher plugin is a big help in showing customers how much they would be spending at your store in their local currency. As mentioned previously, a long shopping/checkout process can be a major sales killer. Amazon knows this well—that’s why their normal checkout process only takes four steps. For those who still think this is too long, Amazon also offers a 1-click ordering feature that they’ve actually patented. This single feature is attributable to $2.4 billion for the ecommerce giant on an annual basis. Unfortunately for Amazon, their 1-click process couldn’t be protected by patent forever. It expired in September 2017, at which time millions of online retailers were overjoyed at their own ability to steal from Amazon’s brilliance. Unless their patent gets renewed, you too can cop Amazon’s one-step checkout system by using WooCommerce One Page Checkout. Product selection is displayed on the same page as payment, making it easy to add or remove products without leaving the payment page. 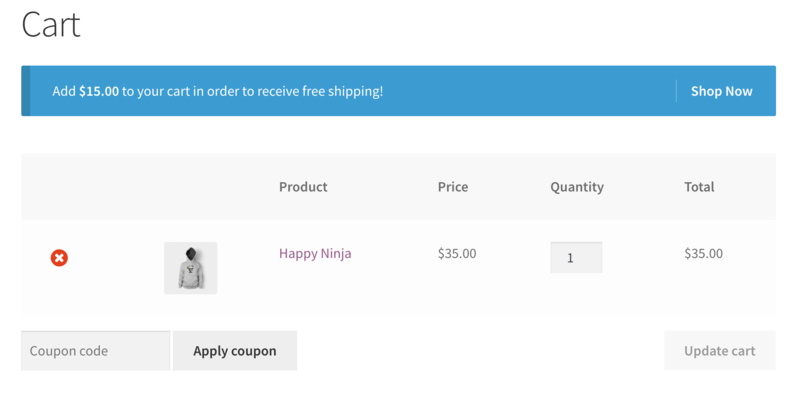 Using one of the best WooCommerce plugins for checkout, you can also add a gallery of featured products to the checkout page to inspire some last-minute sales. The plugin even offers built-in templates you can turn to if design inspiration is escaping you. With over 20,000 active installs, WooCommerce Direct Checkout is clearly one of the best WooCommerce plugins for checkout available today. It simplifies the checkout process to facilitate sales by adding a ‘Direct Checkout’ submenu link in your WooCommerce settings page, that can be easily enabled/disabled. It also adds a “Continue Shopping” button to the product page and allows you to update the “redirect to page” option. For those bootstrapping their ecommerce dreams, this plugin provides a solid (and free!) alternative to WooCommerce One Page Checkout. If you operate an online shop that specializes in digital downloads (such as ebooks), you’ll be dealing with slightly different customer behavior than the typical online store. When people are ready to purchase a digital download, there’s not a lot of dilly-dallying around—they just want to pay and get their product. They don’t want (nor do they need) to input unnecessary details, such as shipping and billing addresses. The WooCommerce Checkout for Digital Downloads plugin makes it so that customers can skip adding in unnecessary details that might otherwise hinder the sales process, by removing these unnecessary fields from the checkout page. Love them or hate them, there’s no denying that dynamic cart notices can help drive sales. Dynamic cart notices are those little messages that pop-up on your screen during checkout. As with those annoying email popups everyone says they hate, these notifications were designed in terms of proven tactics that increase conversions. To add cart notices to your WooCommerce site, use the WooCommerce Cart Notices plugin. You can use this to encourage your customer to add just one more item to their cart or to create urgency (like by offering a time-sensitive discount). These messages can be placed anywhere on your website where shortcodes are allowed. 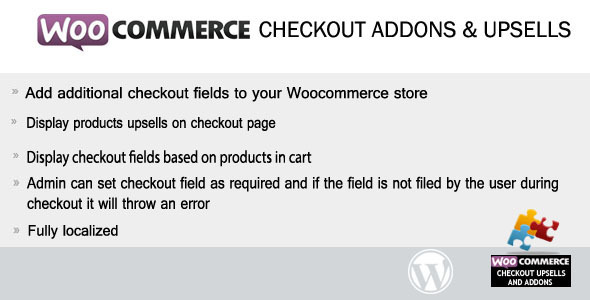 The WooCommerce Checkout Field Editor allows you to add custom fields to your WooCommerce checkout page (including the Billing, Shipping, and Additional fields section). The plugin makes it easy to add, edit, delete, customize, and rearrange fields on the checkout page, and you can use the data collected to grow your business. Using what many consider as one of the best WooCommerce plugins, there are 12 different field types available. By incorporating one or many of the best WooCommerce plugins for checkout, you’ll create a more optimized process that encourages customers to finish their transaction—while potentially also increasing the cart total. It’s possible we’ve missed a hidden gem—what do you consider as the best Woocommerce plugins for checkout? Tweet at @HollerWP and we’ll share our favorite picks! Maddy, thanks for this post, it was exactly what I was looking for. I have taken your suggestions and have setup my shop now using a couple of the above plugins. Since we operate in different countries WooCommerce Currency Switcher is a great find for me :). Also I wanted to opt in for Jilt, but it was quite complicated for me therefore I went with this solution https://wordpress.org/plugins/woo-save-abandoned-carts/ and it does the trick for me. Once more many thanks for your help!